But everyone is waiting for the the other 30% to kick in for 3rd run for the Democratic nomination for President…. He’s the leader of the large group angling for the chance to run against Donald Trump if he lasts in office…Him jumping in would instantly cancel a good many other Democrats chances…But with Hillary Clinton in m ind?…No one would think he’s a lock for the nomination….But he would be a natural to capture what the polling shows…Most of the party establishment and a good amount of voters he and Obama had that defected to Trump two years ago…. Skepticism persists, fed by donors who are wondering why they haven’t heard anything, and operatives who others in the field assumed Biden would have locked down by now are still shopping around for other candidates. Biden pulled the plug at the last minute in 2015, and some of those closest to him warn he still may this time. “I’m 70 percent there, but I’m not all the way there,” Biden told Fink….. 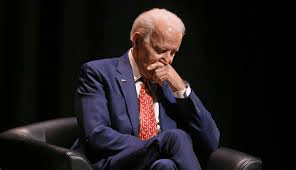 The rumor was that Biden WOULD announce within two weeks….